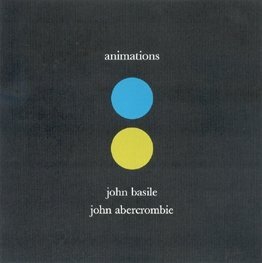 Any jazz guitar duet is good for me, especially one with John Abercrombie. Can’t go wrong with this one. Hip swinging jazz guitar from 1957. Studio cat Mundell Lowe can play, this set probably isn’t going to make your head explode, but it should be interesting to jazz guitar fans. I keep coming back to this NOS recording from Pat Martino’s archives. Other guitarist Bobby Rose joins Pat for duets from 1977-78. Any new Pat Martino is good news, a guitar duet is extra special. …and a bunch other stuff too. 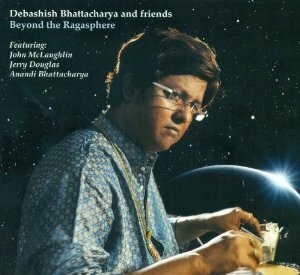 The latest from Hindustani slide guitar virtuoso Debashish Bhattacharya. I got hip to his nimble guitar work through his Raga Bhimpalasi on the India Archive label in the late ’90s. This album is a little less traditional, featuring guest appearances by jazz guitarist John McLaughlin and Bluegrass Dobro guitarist Jerry Douglas. There’s something very special about the way he transfers the extremely ornamented traditions of North Indian Classical music to a Western instrument even though there’s been Indian slide guitarists in the past like Brij Bhushan Kabra and Pandit Vishwa Mohan Bhatt. Fine guitar duets! I’m such a big fan of John Stowell and I love hearing him in this context. Another in an ongoing series of horn players who double on flute. Today, another by Sam Rivers. From the 1979 “Contrasts” LP. ECM Records.